TheRustedChain - The Blog: Monday. It's cold and gray outside. Leaves are falling, mixed with rain and a few snowflakes. I have laundry started, candles lit, and cartoons playing in the background. The Baby is having syrup. How's your week starting so far? That picture made me smile! Thanks for the comment! I've always wanted to go to the Ingalls home in MO, I bet it is neat! Loving your blog, I'll be bookmarking it to visit more! hahaha. That is too funny! Hi! I just popped over from PW's site after I commented about the necklace I bought from you. Small world! I should have had syrup.....I feel blahhhhh! That photo just made my day - too cute! i better not let Riley see that pic... she would so do that too! she sometimes has pancakes with the syrup! i flipping love that you captured that! Belly laugh! YOU KILL ME! Thanks for sharing the reality of parenting. Tell the baby if he is going to take up drinking he should only guzzle the good stuff like Vermont Maple. Aunt Jemima's is for slurpin sissies. I love the picture. Like another comment, I would have screamed instead of reaching for the camera. Thanks for reminding me to enjoy the moments! No syrup drinkers here, just a really devoted thumb-sucker. Edythanne, that's funny. I actually wondered who would comment about my poor choice in syrup. 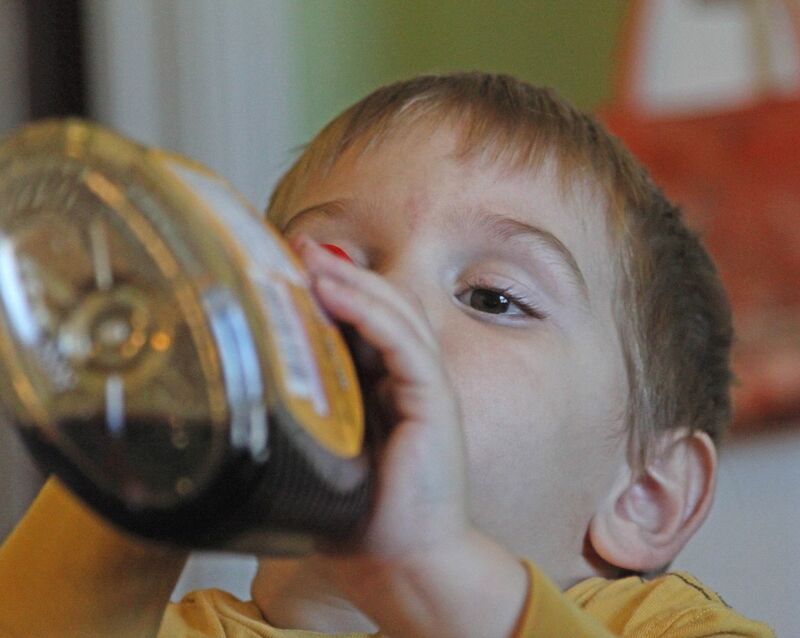 I'm glad to see that I'm not the only one that sneaks "shots" of syrup straight from the bottle!!! SHHHHH...my kids don't know my secret!! ;) Thanks for the laugh today! !